I posted this sentence on Facebook today as it has been on my mind. Lately I have been interacting with a lot of people experiencing Turmoil. Turmoil in relationships. Turmoil in the world. Turmoil in families. Turmoil in self. It seems like there is a never ending onslought of things that go wrong. Misunderstandings, selfishness, anger, hurtful words and all the other negative things that can be listed. As I have had different friends, family members and downright strangers come to me for advice recently, I have noticed a theme in the advice and conversations. 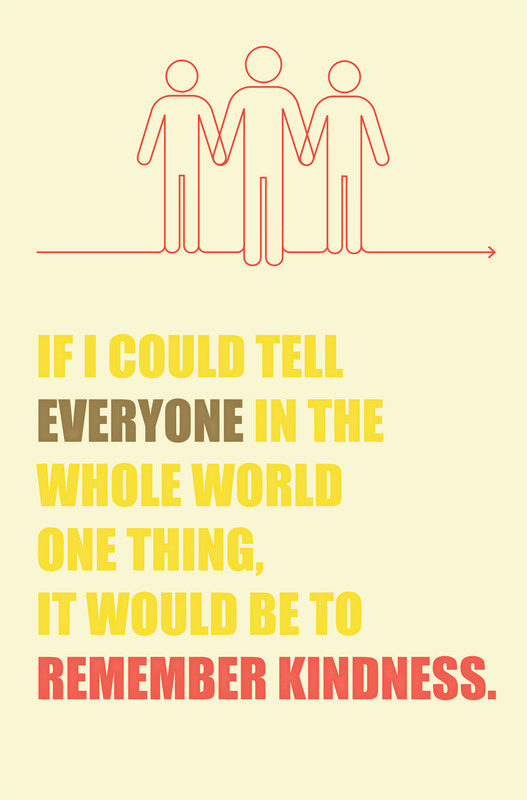 So many things in this world can be solved with just a little bit of kindness. To reach beyond our Self and see the needs of another. To take a moment and consider what pain others may be experiencing. Not just our own Pain. There is more to the world than what YOU are experiencing. This does not diminish your own experience. Your Pain, your Turmoil, your Hurt. They are Valid Things. However so is the strangers next to you. The sister. The friend.